Critters enjoy shopping for yummy, healthy food. 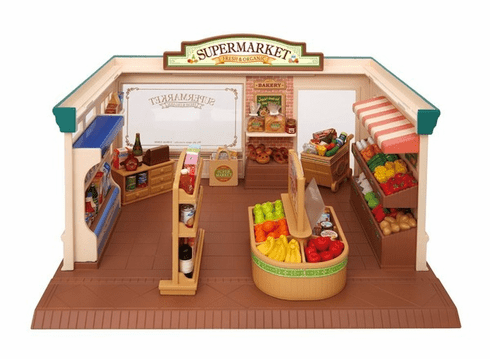 With over 100 pieces including fruits, vegetables, bread, fish, canned food, drinks, cookies, ice cream, shopping cart, check-out counter with cash register, display stands, and much more. Critters not included.